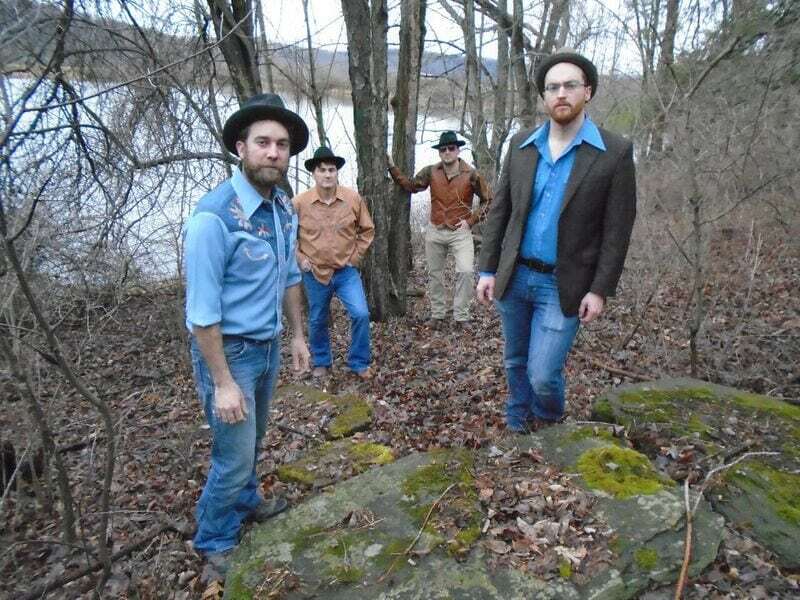 PHOTO PROVIDED Stage Fright band members (from left) Mike Nickerson, Mike Watkins, Sean Monroe and Joe Callahan, sing songs made famous by The Band of the late 1960s and early 1970s. WELLSBORO — In August of 2015, Stage Fright played its first concert as a tribute to The Band, a Canadian-American roots-rock group formed in Toronto, Ontario, in 1968. At 7:30 p.m. on Sept. 8, the Stage Fright bandsmen will perform songs written and played by The Band in the Coolidge Theatre at the Deane Center for the Performing Arts, 104 Main Street. The members that comprise Stage Fright are Joe Callahan, on guitar; Sean Monroe, on bass guitar; Mike Watkins, on piano, organ, accordion, mandolin and fiddle; and Mike Nickerson, on percussion. The four share vocals and do a lot of harmonies. Watkins, Nickerson and Callahan grew up in Tioga County. “We plan to play songs from The Band’s entire catalog, from their biggest hits like ‘The Weight,’ ‘Up On Cripple Creek’ and ‘The Night They Drove Old Dixie Down’ to their most obscure gems,” said Callahan. “Sean (Monroe) wanted to start a tribute group for The Band for a long time and recruited us. “We have been doing this for over three years in addition to holding down jobs and playing with other bands,” Callahan added. The group rehearses at Watkins’ home, which is on a lake in the woods in Addison. “The Band actually rehearsed at a home in the woods in Woodstock, N.Y.,” Callahan pointed out. Stage Fright’s name came from the title of The Band’s third studio album, which included “Stage Fright” as its title track. In 1968, the five members of The Band included Rick Danko, on bass; Levon Helm, on drums and guitar; Richard Manuel, on piano; Garth Hudson, on organ; and Robbie Robertson, on rhythm guitar. For more information or tickets, call 570-724-6220.